LIVINGSTON COUNTY — Sheriff Thomas Dougherty announces a countywide crackdown on impaired driving this July 4 weekend. 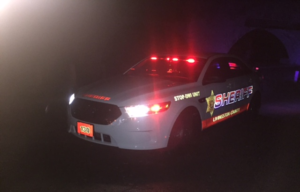 According to a press release from Dougherty, who serves as the Livingston County STOP DWI Coordinator, the statewide STOP-DWI Crackdown efforts start on June 30 and will end on July 4. Dougherty added that Americans love to celebrate the Fourth of July with family, friends, food and fireworks, but all too often the festivities turn tragic on the nation’s roads. According to data from NHTSA, during the 2015 Fourth of July Holiday, 146 people were killed in drunk driving crashes. Nearly two-thirds of those killed were in crashes where at least one driver had a blood alcohol concentration (BAC) of .15 or higher, almost twice the legal limit. The NYS STOP-DWI Program also provides a free mobile app ‘Have A Plan’ to help you find rides in your area.